Being an active person makes me crave and eat more than I should only have for my diet (just so to keep me fit). I love to eat, actually I can eat anything (any meat dish). 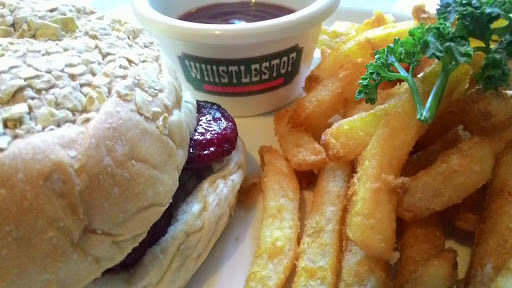 And I was craving for a burger that day with my partner and we decided to try WHISTLESTOP in Westgate Alabang. To our surprise the restaurant offers affordable meals inspite that they are located in a posh area of Westgate. I ordered CHORIZO BURGER for less than 200 php. I was expecting much from the food I ordered but the taste, it's fairly OK! Will try some of their other dish soon.